I had a meeting-of-my-lifetime only a few days ago. Through the True Blue Inclusion connected network of idea makers across the globe – the depth of which rivals any I’ve seen in over 30 years of corporate work – a South African “dream team” of leaders travelled to New York for a conversation about member Chevron’s proposal for a formal dialogue regarding Black economic empowerment to be held in Capetown later this year. To my amazement, we were joined personally and in depth by members of the Mandela family. Across the table were Zondwa and Lindo Mandela from the Mandela Legacy. With them were George Monyemangene, South Africa Consul General to the United States and Bernard Legodi, South Africa Consul to the United States. Rounding out the stellar group was Sello Hatang, CEO of the Nelson Mandela Foundation. What they communicated to us was challenging. In its 20th anniversary this year, the democracy of South Africa lovingly crafted by Nelson Mandela is at a crossroads of significance. The enormous promise of a fully diverse culture where everyone participates is, at many turns, in a compromised reality. Much of this will play out in the coming national elections in May. Citizens across social and economic bands are expressing concern about how to deliver prosperity more evenly, especially to the country’s enormous, mostly black, underclass. One widely used measure (the GINI coefficient) ranks South Africa today – with a most diverse culture of Blacks, Whites, Indian/Asian and Mixed Race – as one of the least equal nations in the world. A lack of even and equal opportunity is at the heart of this. And that is something that corporations know how to address collaboratively with success, for their own betterment and for nations, too. I am keenly looking forward to our Chevron-sponsored time together as we push the Mandela mandate forward. 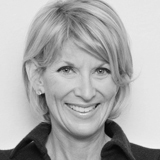 Catherine C. Smith is Founder and President at True Blue Inclusion. Over a long career in politics and working with major US corporations, she’s helped define numerous positive outcomes for diversity and inclusion executives.